Have heard of free seating (open seating) on buses and cinemas, but for the first time experienced it in a flight today. 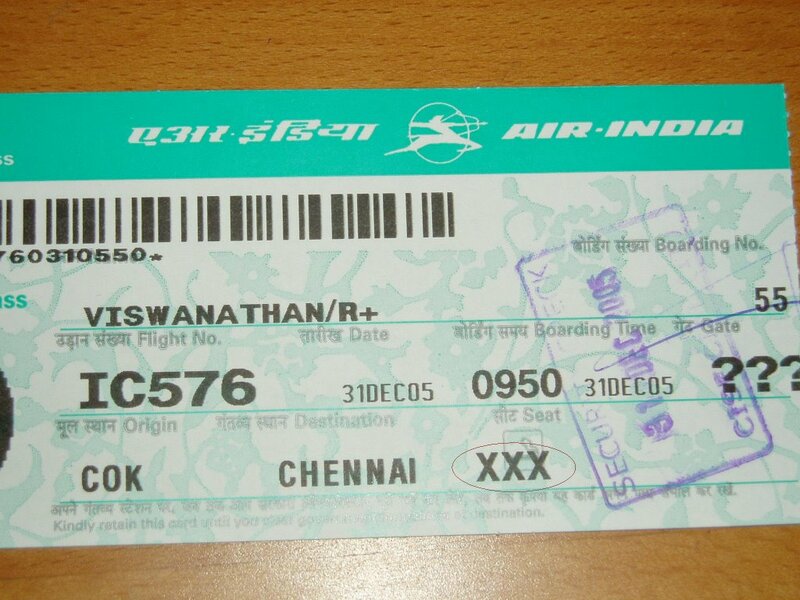 We flew from Cochin back to Chennai today and was surprised to find that we were not assigned seats. I found this after leaving the counter and took it for some glitch and decided to sort it out after boarding the plane. But then there was a rush to get on to the flight and we decided to wait till the crowd eased. To our dismay we found the reason for this unusual rush. 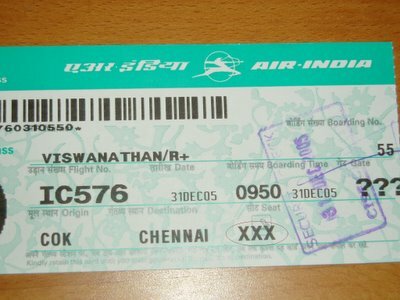 On certain domestic segments that are a follow on to a international route, Indian Airlines doesn't allocate seats for the domestic passengers. This meant the all open seats (and the over head luggage space) are to be occupied on a 'first come first served' basis, which explains the mad rush for preferred seats and overhead luggage space. I found this free seating procedure kind of strange and inconvenient. I know South West Airlines (in US) has free seating policy but passengers are given zones which identify the order of boarding. Do you know any other airline doing this kind of free (for all) seating? hmm..interesting! Was there any standing passengers in the flight? so, next time, we need to take our karchief with us to book the seats ;( Happy New year, Ram. Thanks for your greetings.. Happy New year to you as well..
Fortunately, there were NO standing passengers or guys hanging out in the 'foot board'..
Air Deccan always had a free seating method. Yeah, the rush to board the planes always pissed me. I usually don't bother and am happy to let the crowd get in first. Haven't flown Air Decan yet.. but it makes sense..
More than the free seating, what irked us the most was the 'mad' rush..
A bold and dynametic venture. He must be the bwst enterpreur of the year.